The FloorMat Store is excited to announce a game changer! We have just added to our stock, polyurethane comfort salon matting available with full chair coverage. Take a sneak peek at our Hexagon Comfort Craft Salon mat below! Our Comfort Craft series is manufactured in three shapes. Keeping with our classics, these can be ordered in our standard Semi-Circle, and Rectangle matting. 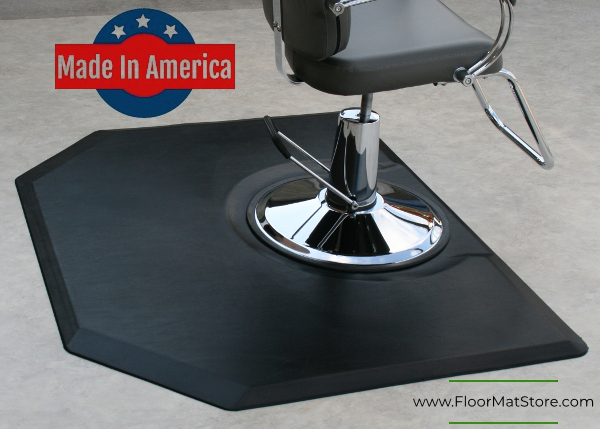 The Comfort Craft is as well our only mat that we can furnish in a 3'x5' hexagon that provides added comfort along the sides of stylists chairs, an ideal for barbershops that handle shaves. Comfort Craft Salon Mats are crafted from polyurethane and come in a full 3/4" thickness. They are designed to stimulate circulation in the stylists feet, legs, and lower back by providing the most effective way to reduce fatigue brought on by standing. 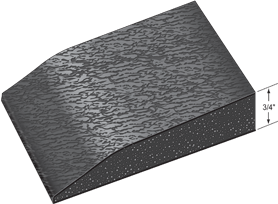 The polyurethane sponge formation disperses shock, while also providing the necessary support for stability, and promoting circulation all day long. 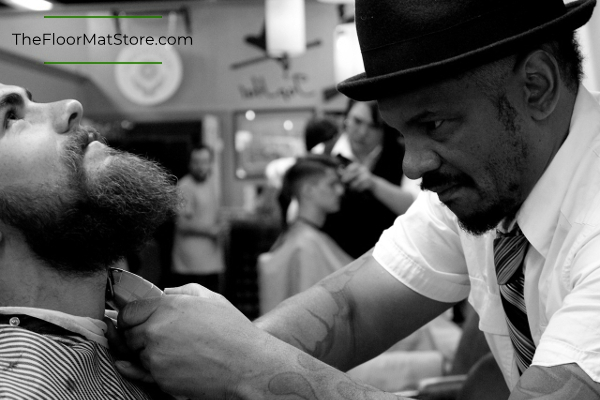 Hexagon Salon matting is an ideal addition to barber shops, it adds the additional distance of comfort to the sides that so often comes into play for razor work, and shaving. The polyurethane design is perfect for withstanding all day long weight, and its clean design goes with any decor.